It’s officially December which means that Christmas is fast approaching. 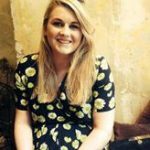 Whilst many of us wish we could just fill the time eating mince pies and singing Mariah Carey at the top of our voices (or drinking whiskey whilst wearing a paper hat). Christmas also means that we need to buy some presents. Now if you’re as stuck as I am, then luckily I’ve put together some ideas for those special ladies in your life! What’s the way to a hopeless romantic’s heart at Christmas? 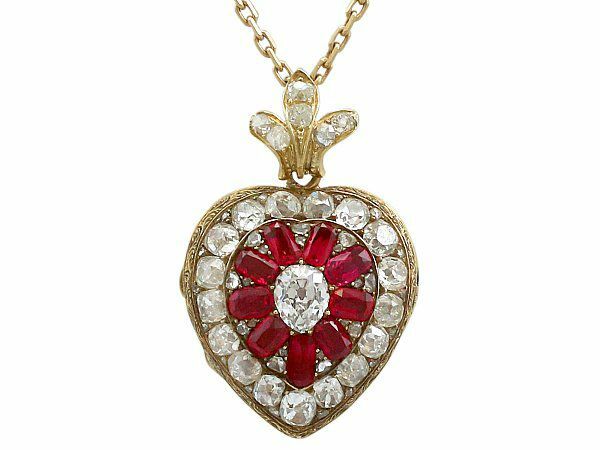 I’d say that this gorgeous heart shaped diamond and synthetic ruby pendant would make that special someone very happy. With red being recognised universally as the colour of love, the use of rubies in this Victorian pendant makes it an excellent choice of present this Christmas. 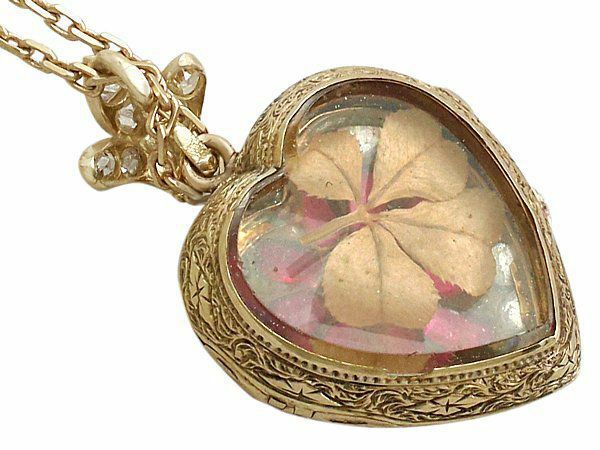 The particular reason I suggest this Victorian pendant is the unique extra it has secreted on the other side that makes it stand out from other heart shaped items we have in our store. 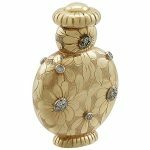 The heart shaped glass displays a four leaf clover – a well-known symbol of luck. For someone who already loves romance, this symbol is definitely a nice touch to add to an already beautiful present. 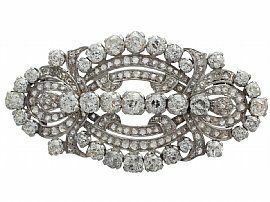 If your lady is as excited at the prospect of the Downton Abbey Christmas special as I am then you’ll certainly be in her good books with this stunning antique diamond brooch from circa 1920. The Art Deco style means that this brooch has become a timeless classic and will be a cherished gift for life. 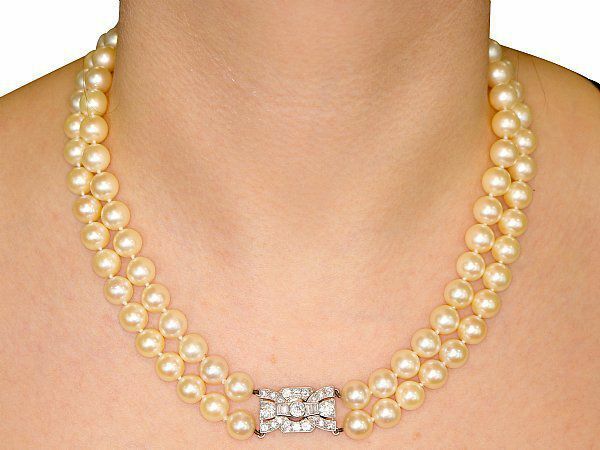 As a Downton lovely she will know that the early 20th Century was all about class, which this gorgeous pearl necklace with a diamond clasp screams. 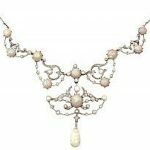 Luckily enough for any recipient, pearls are still as popular today as they were in the early 1900s, perfectly accessorising any outfit. 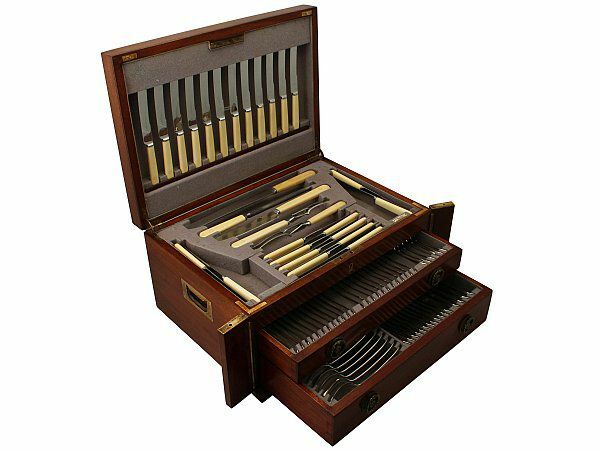 What better gift to give someone who loves to take care of their appearance than this impressive Travelling Vanity Set. 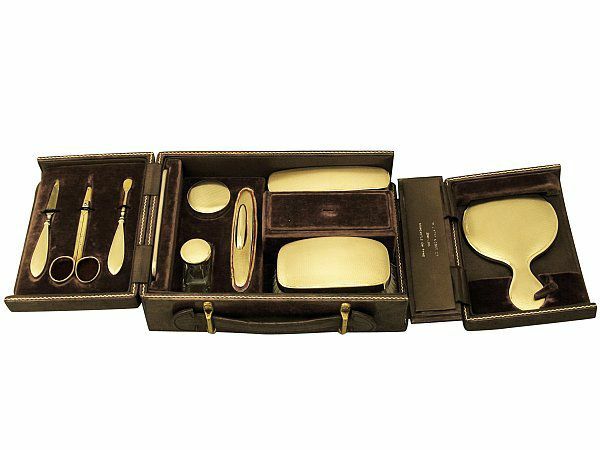 The set includes a hand mirror, two clothes brushes, a comb, a scent bottle, a pill/powder box, a nail buffer, a nail file, a cuticle pusher and a pair of nail scissors, with each item having its own individual space in the box – What more could they ask for? Struggling to decide what to get your Mum for Christmas? Well if she happens to be the person who is hosting your Christmas dinner this year then a canteen of cutlery is a great present if you ask me. 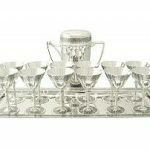 Make sure you give her it Christmas morning though so she can proudly put it to use just in time for lunch! It’s well known that Christmas is a time filled with love, so it’s no surprise that a lot of couples get engaged at this time of year (plus it means you might get away with not buying her an extra present). 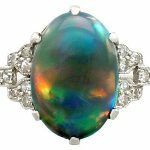 I feel like I couldn’t write a Christmas present idea blog without mentioning engagement rings. 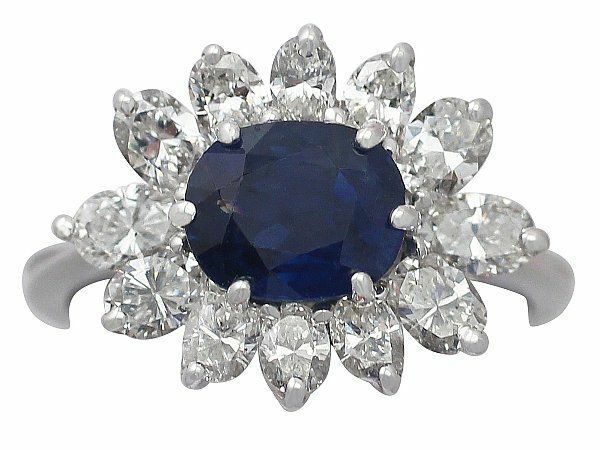 My personal favourite is this sapphire cluster ring. 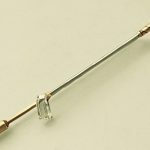 If you are looking for a more classic option, then look no further than our previous blog for some ideas. I hope I have given you some guidance on what to impress those lucky women in your life with. Don’t worry – I haven’t forgotten the gentlemen – keep looking ladies for my ideas on what your lovely chap might appreciate.